Keswick, the Lake District. | Tourist information, what's on, places to stay. Keswick, situated between the huge bulk of Skiddaw and the gentle beauty of Derwentwater, has become the major centre for tourism in the northern Lake District. This pretty market town offers a wide range of attractions for visitors, from shops and restaurants to museums with a difference, and boating trips around lake Derwentwater. In 1276 Edward I granted the town its market charter, and it continues to this day. Keswick market is of good quality and brings many locals and visitors to the town. The general market stands every Saturday and Thursday, except in high winds. In the centre of the Market Square is the Moot Hall, now home to the Tourist Information Centre. Keswick is now one of the main centres of Outdoor Activities in the UK and an extensive selection of Adventure Activity companies, guides and instructors for all abilities are based around here. Ghyll Scrambling is very popular, as is water sports, and 2 marinas are situated on nearby Derwentwater. There are 2 indoor climbing walls, several mountain bike hire shops and a large array of outdoor gear shops. Walking in the fells is a major draw to Keswick and boots can be hired from George Fisher’s shop on Lake Road. Borrowdale, at the far end of the lake, is particularly interesting for climbers. Paragliders can often be seen flying from the hills around the town. View down Stanger St to Main St and Catbells fell behind. The original settlement was at Crosthwaite, on the Western side of the town. The first Church at Crosthwaite was built in 553 AD, and named St Kentigern. Canon Rawnsley, served the church as vicar from 1883-1917. He was one of the co-founders of the National Trust, which owns much land in the area. The rural economy was transformed in the reign of Elizabeth I, when minerals, copper in particular, were discovered in Newlands and Borrowdale. The discovery of black lead at Seathwaite in the 16th century sparked off pencil making which is still the major industry in the town. The Pencil Museum tells the story of pencil making in Keswick. Visitors arrived in increasing numbers from the 1700’s, many of them literary pilgrims attracted by the area’s close association with the Romantic poets – Southey, Coleridge and Wordsworth. Between 1885, when she was 19, and 1907, Beatrix Potter spent summer holidays at Lingholm and Fawe Park, the two stately homes whose estates now occupy most of the north western side of Derwentwater. The two houses, their gardens and the surrounding landscape provided material for several of her books. The Keswick Museum & Art Gallery is a purpose built Victorian museum, hardly changed today since it was created, with a local history collection, and original manuscripts from the Lake Poets. At Friars Crag is a memorial, unveiled in 1900, to John Ruskin, who had many associations with the town. He once said Keswick was a place almost too beautiful to live in. There is also a memorial to Canon Rawnsley. The Theatre by the Lake between the lakeside car-park and Derwentwater is a purpose built theatre to replace the ‘Century Theatre’ – a chaotic collection of blue portacabins which used to occupy the site. The Victorian church of St John was designed by Anthony Salvin for the founder, John Marshall, who lived on nearby Derwent Isle. In the grounds is the grave of the author Hugh Walpole, who lived at Brackenburn, from 1924 until his death in 1941. At the southern end of Derwentwater is the valley of Borrowdale, leading to the Honister Pass, and on to the smaller lakes of Buttermere, Crummock Water, and Loweswater. Now one of the largest Mountain Festivals in the UK, the Keswick Mountain Festival is held annually in May or June. Around 20,000 visitors are drawn to the town each year to enjoy 3 days of world class sports, outdoor activities, talks and films, and two nights of live music beside the lake. A Christian Bible teaching, worship and fellowship meeting, this runs for 3 weeks starting in mid June and ending on the first Friday in August. Approximately 14,000 people attended over 3 weeks in 2012. The Convention has been based at Skiddaw Street since 1987, and acquired the old Grammar School site in 1997 to extend their programmes. The Pheasant Inn – a superb location beside Bassenthwaite Lake and one of the Lake District’s most historic and charming Inns. Approx 13 minutes drive. Swiss Court Guest House – 4* in central Keswick with some private parking. 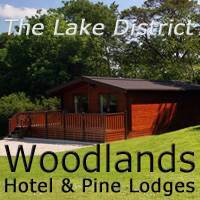 Keswick Holiday Homes – Holiday Cottages in the heart of Keswick. 4* San Ging – cottage sleeping 8 on the edge of the town centre. 4* Brackenrigg – 4 cottages in 7 acres of private gardens 2.5 miles. Sleep 2 – 8. 4* Croft House Cottages – two cottages for 2 and 4 people in Applethwaite village, 1 mile. 5* Bawd Hall – pet friendly country house sleeping 10 in the Newlands Valley, 6 miles. 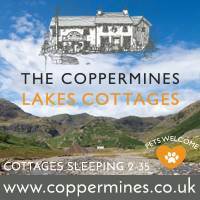 Sykes Cottages – over 140 holiday cottages in and around Keswick. 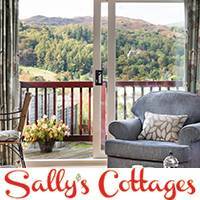 Sally’s Cottages – over 200 holiday cottages in the immediate area.